Learning more and fewer in your lesson plans can be fun with our video. This video was originally made for preschool going into Kindergarten but it fit so well into the Kindergarten curriculum that I added it there. 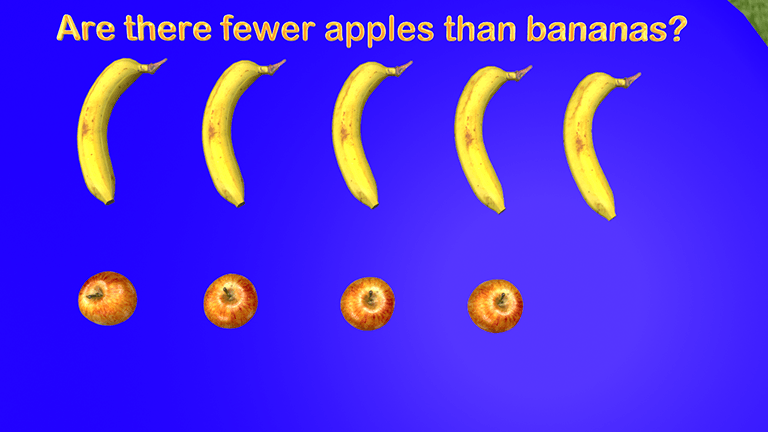 For kids learning the difference between more and fewer seems simple but can be challenging once you add questions and ten frames. I made this video as a precursor to ten frames so that the kids can get to learn more and fewer in the real world before using ten frames. This is why I did not combine the two as many videos do. This video can be used at any point in your lesson and is best when you stop the video when it says to and actually work through the question with the students. This will help cement the idea in their minds. When I made the video for more and fewer it was at a request from a teacher. You will probably notice that I was sick when I recorded the video. I waited to feel better before recording but bronchitis was taking too long so I went ahead anyway. I apologize if the voice sounded funny but hope that kids learn from it.